It's baffling to consider that a new Kingdom Hearts hasn't been released on consoles in over a decade. The series' sappy emotion, bizarre juxtaposition of characters, and overly convoluted story may drive many away, but there's a stirring magic and innocence to it all that has never waned on us. 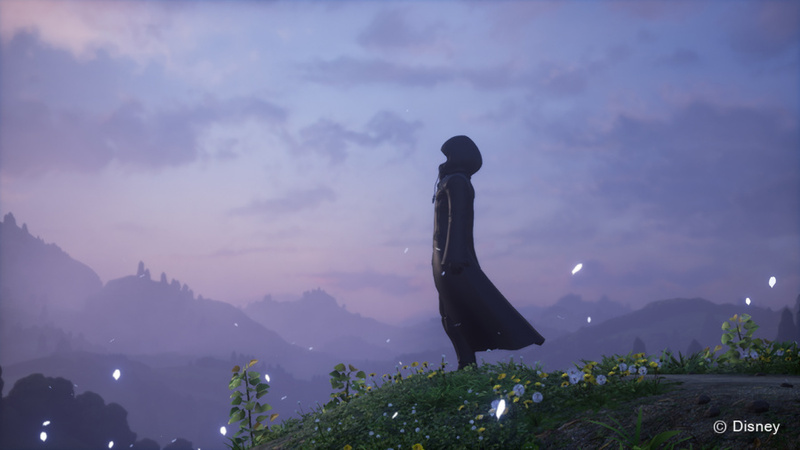 Kingdom Hearts HD 2.8 Final Chapter Prologue proves this to be true once again, serving up a short yet promising episode of what to expect from Kingdom Hearts III, while packaging in a neat film and surprisingly solid remaster of Dream Drop Distance. If you're expecting to jump into Kingdom Hearts, we highly discourage this assorted collection. 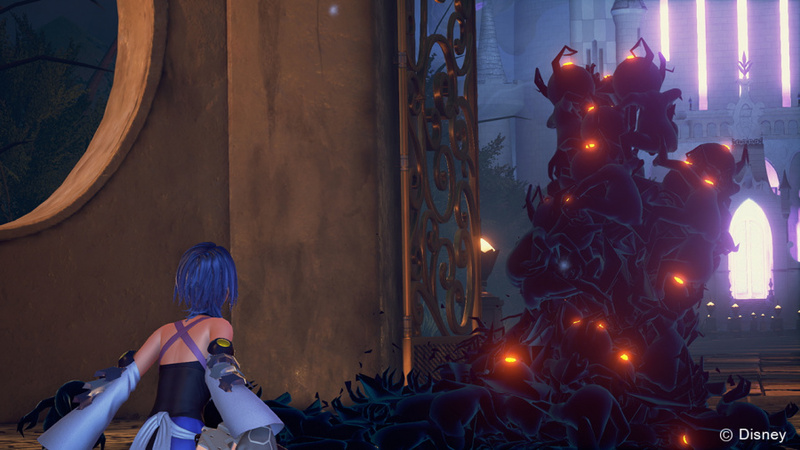 The most significant portion – preposterously named 0.2 Birth by Sleep: A Fragmentary Passage – is meant for fans seeking revelations about Aqua's fate in the Realm of Darkness. It's not so much a complete story, but exactly what the title suggests, providing some context to Aqua's internal conflict, Terra and Ventus' statuses, and the premise leading right into the main trilogy topper. It's lore candy for connoisseurs, especially since there's a shocking tie-in at the end that shines new light on a classic moment. If story revelations aren't your thing, then the gameplay won't disappoint. While the experience's brevity of 2-3 hours doesn't allow for systems with deep progression or customisation, our favourite mechanics partially return from Birth by Sleep with Shotlucks and Command Styles. Other attacks can't be assigned to the Command Deck, but nevertheless, what's here jives well with the hectic pace of combat. We still wish you could cancel failed blocks or a pointless combo to recover from stupid mistakes, but the flow of dodging, air dashing, and executing moves feels as good as ever. A peculiar new addition is completing challenges to unlock wardrobe accessories for Aqua. You can earn differently patterned skirts, headgear, and whatnot, choosing to customise colours if you wish, but this hardly sets the game apart from its predecessors. What struck us most is the spectacle of the visuals. There's much more going on with the backdrops and immediate settings with a good command over reflective surfaces, lighting, scale, and textures that made us exclaim in wonder with massive areas and hallucinatory rooms. Even the materials of characters' outfits are evident with fine leather and textiles of intricate patterns. We were also particularly amazed by how grand some of the boss fights are, even if they may not be the greatest the series has been blessed with. It's unfortunate that the game is limited to 30 frames-per-second on the standard PS4, but at least it runs at an unlocked 60 frames-per-second on the PS4 Pro. We could also nitpick at the low pool of enemies and puzzles in spite of some cool gimmicks, but keeping in mind that this is only a taste of what's to come, then the future looks bright. Besides, there are two other titles to consider after the main attraction, and Nintendo 3DS remaster Dream Drop Distance is the most robust reason to own this package. Taking place after the events of Kingdom Hearts II, we follow Sora and Riku's journey to become Keyblade Masters by awakening worlds they saved from darkness that still slumber. Their individual resolves are tested with rich development for both characters that involves even more convoluted messes such as time travel. The gameplay, basing much of its deserved appeal on 'Flowmotion', transitions well to consoles, though some of the stylus mechanics like Reality Shifts and managing your Dream Eaters in a Pokémon Refresh-esque mode feel trite and not as engaging with analogue sticks. We still dislike the Drop system that forcefully removes you in the middle of lengthy fights, and some of the worlds can drag on for a bit longer than they need to, but the game has some highly memorable bosses and a unique slew of features that distinguish it as one of the series' best. It helps that the reworked cutscenes and graphics are leagues above the Nintendo 3DS. The differences are stark with dramatically better anti-aliasing, updated textures, and 60 frames-per-second performance. This is the definitive experience, which is a 25 plus hour affair that somewhat counteracts the shockingly full retail price tag. At least there's the hour-long movie x Back Cover to sweeten the deal, which has incredible animation, suitable voice acting, and fairly compelling drama. However, if you never played the Unchained x app, it's harder to invest in the main cast and immediately understand what's going on. 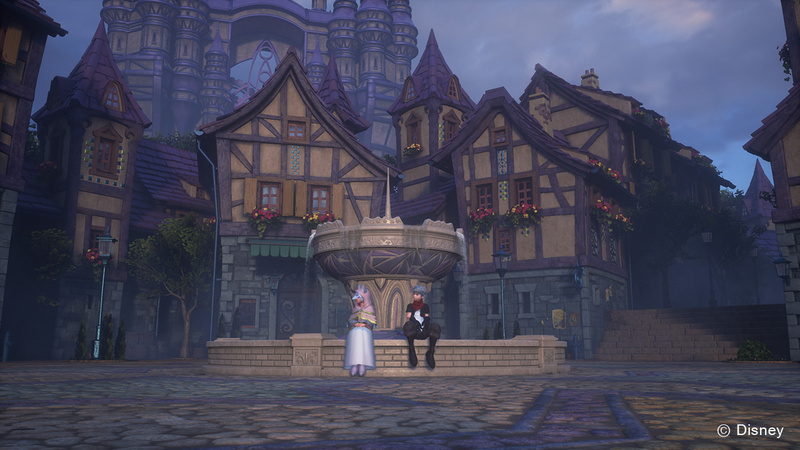 Kingdom Hearts HD 2.8 Final Chapter Prologue is a strong but unnecessarily pricey collection for die-hard fans, especially for those who don't intend to play Dream Drop Distance. For those who do, it most certainly is a wonderful game that has undergone an admirable transition between platforms. With a fair film and enticing episode in tow, there's only so much more our hearts can bear in anticipating Kingdom Hearts III. I see Square Enix are still making use of their random game name generator. I want to get it but I will wait for summer, untill then there are other on my priority list and I prefer to get the 1.5+2.5 collection first. I don't like dream drop distance so I guess I'll pass this for now and wait for a discount to play Bbs 0.2 fp. I like birth by sleep so I will buy the 1.5 + 2.5 remix instead. @kyleforrester87 Buy 1.5 + 2.5 in March. Problem solved. Sounds more like a slapdash, randomized mish mash of games and fluff, collected on a single disc to milk ...I mean tide the fandom over, before Square finally decides to release 3. The title makes perfect sense then, it' s just as confused and random as the game it' s plastered over. Don' t give them ideas will you ? I've already played Dream Drop Distance and I'm not that bothered by the other stuff so I'm gonna wait and get 1.5 + 2.5 double pack. I did pick up my copy today but I'm almost disgusted at how much I payed. £50 for my limited edition. I'm a die hard KH fan, but Square are really testing my faith. I really hope KH2.9 isn't a thing. @kyleforrester87 You can pretty much just play 1 and 2 and ignore the rest. In fact, that's probably the best option. 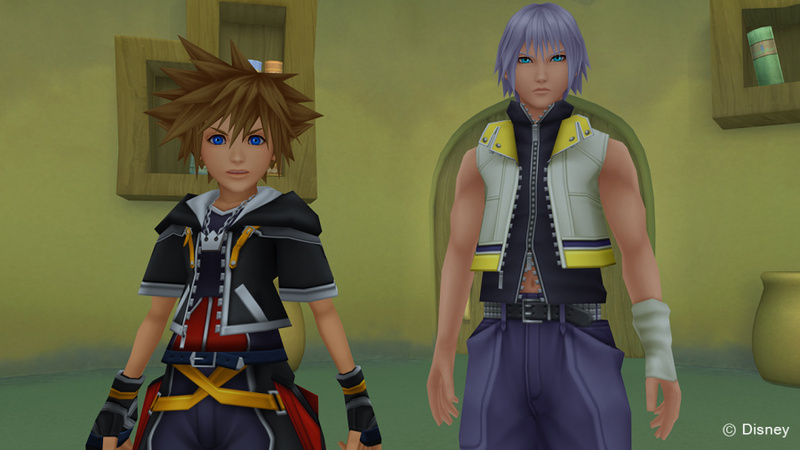 I played 3D on the 3DS and I really didn't like the whole timed switch between Sora and Riku. Maybe I'll give this collection a chance, but only when it's discounted. Really wanna play the Aqua story. @johncalmc Well let's hope so, because that's what I'm doing! Nope, you have to play 1, Chain of Memories, 2 and Birth By Sleep to actually follow the story. Re:Coded and 358/2 Days can be ignored if you want, they barely add anything to the story (but they're included as films in the collection package, so just watch them). KH 1.5 included KH1, Chain of Memories (right after 1 and before 2) and videos of 358/2 Days. KH 2.5 includes KH2, Birth By Sleep (the prequel to the series and it is really important to the story) and videos of Re:Coded. PS4 is getting 1.5+2.5 as a single game in March. Also, since you needed PS2, GameBoy Advance (for a while), DS and 3DS to be able to play the entire series, I'm glad Square Enix releases these remasters (they could pick better names though, they're awful). I've never played KH3D since I don't own a 3DS, so I'm happy to play it now hehe. @RenanKJ The point was that you don't actually need to play most of those to follow the story since a) the story is bobbins whether you've played those games or not, and b) most of the side-stories tend to feel rather inconsequential in the grand scheme of things. The two main instalments are more than enough to fill you in for KH3. Everything else is just window dressing that you can investigate if you discover that you really like the series. @johncalmc The story is really important to Kingdom Hearts, so I can't agree with you there. And have you ever played Birth By Sleep? That is an essential game to the series, it could be called Kingdom Hearts 0. What happens to the gamer on KH3 when Sora fights for something they have no idea about because they didn't play BbS? @johncalmc I don't think you understand just how important Chain of Memories and especially Birth By Sleep are to understanding the story in any capacity. If you haven't played Birth By Sleep, you'd be absolutely, positively lost going into KH3. @Jake3103 — Take it from a fan of the series. If you want to get into Kingdom Hearts, get the collection that's coming out in March. With it, you can play KH1, Chain of Memories, KH2, and Birth By Sleep. You can also use it to watch HD movies of 358/2 Days and Re: Coded which will get you up to speed on the DS games as well, if you have no desire to play them. From there, you can buy 2.8 and play KH3D and 0.2 — And done. You'll be up to speed and ready for KH3. @naut @DualWielding @RenanKJ I honestly don't feel like you need any of them. I've played every Kingdom Hearts game and I think most of them are superfluous. There's games between 1 and 2, but you can play 2 and it does enough of a job telling you what's going on that you don't need the stories in-between. Same, presumably, with 2 and 3. It's not that these side games shouldn't be played (although you could certainly argue that for some of them). It's that if you're a newbie to the series, and you want to get into it, you don't need to play every game. You need to play 1 and 2. The others are seasoning. @RenanKJ I've never played a kingdom hearts game, but I'm really curious to start playing, and I've noticed that a kingdom hearts 1.5+2.5 remix is releasing on Ps4 in a couple of months. If I bought that, would that be everything I need to get into the series, enjoy the gameplay and understand all the plot? @naut That's still a lot of play, though, no? I played the original KH on PS2, but I've never played any others, and I've fallen completely behind. There is very little chance of me finding the time to play all of those games. @johncalmc — I mean obviously there's no law forcing you to play all the KH games. Even if you don't have a clue what's going on in the story, anyone could enjoy the combat, aethstetic, music, etc. — But as far as I'm concerned, half the appeal of KH is the story. Missing out on it would be a crying shame and I don't recommend it. And if you do want to properly understand the story, you do need to play them all, that's for certain. @Jake3103 — KH games, on average, run about 30 hours. If you played KH1, KH2, CoM, BBS, and KH3D it'd run you about 150 hours. About the time it'd take to play two large JRPGs. It's not that bad, really. @BranJ0 That's all you need. 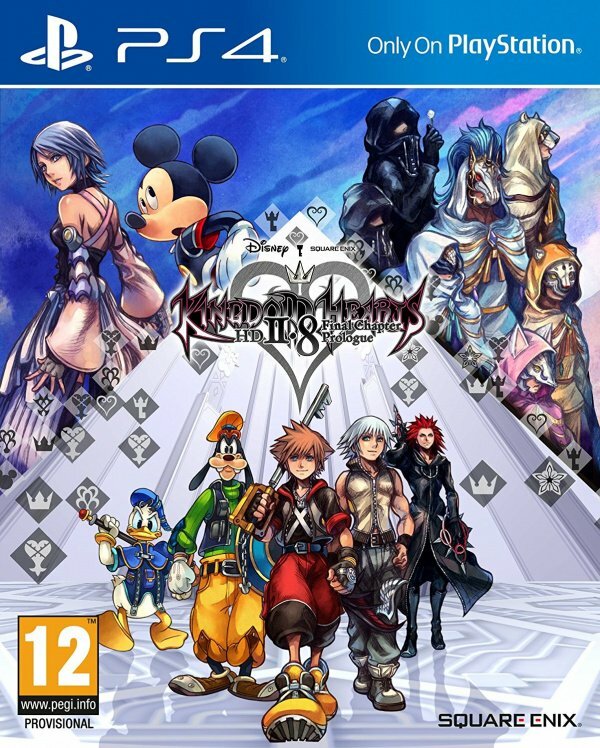 After them comes KH2.8 and eventually KH3. @johncalmc I understand what you mean, but I still think BbS should be played by newcomers. It's not a side story, it tells the reason why Sora has a Keyblade, why everything happened and what Sora has to fight for in KH3. As for the story, I agree with @naut, you can play for the gameplay only, but the story is half of the appeal in the series, so I too wouldn't recommend missing it. @Jake3103 Keep in mind we're talking about games originally released before PS3 came around. You can end all of them taking as long (or even less) as it would take for you to finish Skyrim. @johncalmc Ignoring Re:Chain of Memories is a very bad idea. There is a huge gap between the end of KH1 and the beginning of KH2 and that gap IS Re:Chain of Memories. If you ignore all of the rest, you must, must, play Re:Chain of Memories. I would also argue that 358/2 is almost as important. Its essentially "Chapter 0" for KH2. So I would not skip that, at the very least, watch the Remix cutscene movie. The rest though, are just odd side stories that fill in details about the world, but not (too many) about the main protagonist and friends. You could skip those without much of an issue, though it seems like Birth by Sleep will lead into KH3 so it might be more important later than it is now. @Xaessya LOL! Or just KH The whole enchilada! If you want to catch up with the series, you can play them in this order above. It's kind of the order the devs have intended, even though Birth By Sleep is chronologically before KH1. Have fun!
" We still dislike the Drop system that forcefully removes you in the middle of lengthy fights"
@RenanKJ ive played precious KH a long time ago on PS2,3 I think. Could we still enjoy if no idea about story, maybe just in terms of the gameplay? I think the fact that we have so many people trying to explain the story of Kingdom Hearts says it all. Lonely people that are desperate for friendship constantly make bad decisions, until Sora comes along to right all wrongs. However, since Kingdom Hearts is an action/rpg, the story plays a big part of it. If you have the time, I'd recommend at least reading about the previous games. I believe KH DDD has optional texts about what happened so far, if you wanna catch up without playing the previous games. I'll finally be able to play 3D, so that's a plus in my book. @RenanKJ If you don't mind reading the story, DDD does have a recap of the previous games, however it lacks the "oh!" that plot twists and reveals provide when enjoying the story naturally. @Utena-mobile LOL well there you go! @RenanKJ very cool and I remember it being a little tricky needing a guide to get through some parts! A lot of secrets and hard boss fights. People people hahaha. Chain of memories is NOT necessary. they do a sufficient job at the beginning of kh 2 explaining everything. Kh 1, kh 2, birth by sleep, dream drop distance, then maybe .02 in this collection (haven't played it yet). On topic - I'm gonna try out this collection because I hated the controls on the 3ds. But I'm gonna wait for the price drop - the last few collections dropped significantly in a few months. @FullbringIchigo Agreed. If you just keep a couple Drop-Me-Nots on you at all times it's a complete non-issue. I used to think KH2 was my favorite, but I recently played all the series again and I don't know anymore haha. I really enjoy the more traditional RPG elements in KH1, the frenetic action and awesome battles in KH2, the story divided by three characters and crafting abilities in BbS, even the card system and the original part of the story in CoM... Overall, I guess I still love KH2 the most (but I do prefer the extra content of the first game, beating Organization XIII again was really frustrating). @RenanKJ @ZurapiiYohane64 Personally, my favorite is BBS. 358/2 has my favorite story of all the games, but BBS has an amazing story too and its battle system is just so good. The overall best in my opinion. @FullbringIchigo You call that easy? You lost me at Xehanort - is that a silent X? For anyone with a fleeting interest like possibly myself, the titles of the various games and decimal placed numbers are a barrier to entree. I literally read the article, read the comments and am confused by what's going on. It's really not that hard to keep up. Yes, the story is confusing, but play the games in order and that's it. The HD Collection makes it that simple. @kyleforrester87 Okay. Ignore everyone. Let the Keyblade Master offer his suggestions of how to tackle the series. Buy the upcoming 1.5 + 2.5 collection on PS4. If you want to start over, the essentials to play are Kingdom Hearts 1, 2, and Birth by Sleep. I'd highly recommend watching the 358 cutscenes for context to Roxas and Organization XIII, but you could skip this, Chain of Memories (never played it myself), and Re:coded (definitely don't bother with that). Then you could get 2.8 down the line for a cheaper price and play Dream Drop Distance and 0.2. I think they're wonderful lead-ins to Kingdom Hearts III! If you don't want to bother with any of them, a lot of the recent games have substantial recaps of major plot points from past games, so you could decently catch up if you only had time to play, say, DDD. Your call! @Xaessya SSSHHHHH DON'T LET NOMURA HEAR YOU. @Deadlyblack Me neither. I mean, it hardly broke the game's appeal for me, but I found it an arbitrary system that just served as an annoyance. And yes, if this drops to $40, I think that's a worthy price tag. @ZurapiiYohane64 It does look incredible! And I do like that you have an advanced albeit basic set of moves from the start. Wouldn't make sense for Aqua to be Level 1! And that's an impressive time with DDD. I have about 30 hours in that game, and yes, I also silently lamented the fact I couldn't import my Dream Eaters! Would've been so nice. By the way, with Back Cover, a lot of the starting dialogue does a good job of setting the premise for what Unchained x was about. You'll be able to follow the characters and general story about halfway through watching it. I enjoyed it! @ShogunRok You would be right. @naut @FullbringIchigo I'm aware that Drop-Me-Nots can be used. But they take up a useful slot on your Command Deck just to prevent that annoying system from forcing you out of a character. How it should have been set up is to occur in balanced sections. You beat a boss, then are forced to play as the other until you get to a certain point. None of this intrusive "time's up" nonsense. Oh, you KNOW there will be a Kingdom Hearts 2.9. Square loves to milk this series and they already know the fandom will buy them. I'm hyped for this release personally. Enough to make me buy a PS4 during Black Friday 2017 instead of Black Friday 2018. @get2sammyb I believe the release date info on this game is off by a year (released in January 2017, not January 2016).